Internet Explorer isn’t the most popular browser, and Microsoft has stopped adding new features to it 5 Legacy Windows Features Microsoft Can't Retire Yet 5 Legacy Windows Features Microsoft Can't Retire Yet Microsoft has removed many older features from Windows over time. But these legacy features aren't going away anytime soon. Read More . Yet it’s still used by many today. Whether you’re forced to use it for work or just love Internet Explorer for personal reasons, you should know how to use it effectively. Here, we’ve gathered some frequently asked questions about Internet Explorer (IE). 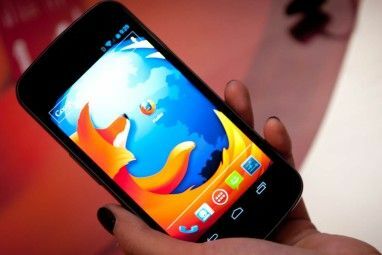 Read on to find easy answers for some of the most important functions of the browser. 1. What Is the Latest Version of Internet Explorer? The newest (and last) version of Internet Explorer is version 11. Only Windows 7, 8.1, and 10 users have access to IE 11. Microsoft has dropped support for all other IE versions Why You Should Upgrade To Internet Explorer 11 Now Why You Should Upgrade To Internet Explorer 11 Now Restoring Internet Explorer to a browser that people actually wanted to use was always going to be a hard road, but it's just possible that with Internet Explorer 11 this stage has been reached. Read More , affecting older versions of Windows where IE 11 isn’t available. For example, Internet Explorer 8 is the latest update of IE available for Windows XP, making that an insecure browser choice Which Browser Is Most Secure on Your Old Windows XP System? Which Browser Is Most Secure on Your Old Windows XP System? Windows XP remains a risky OS for surfing the web. The best thing you can do is ditch Internet Explorer. We'll show you the best browsers for Windows XP. Read More . At the time of writing, the full version number for IE on Windows 10 is 11.64.16299.0. 2. What Version of Internet Explorer Do I Have? Click the Settings gear in the upper-right corner of the browser. You’ll see your current version number displayed in a new dialog box. If you don’t see the Settings icon, you’re either using an old version of IE or have customized the toolbars. In that case, select the Help tab from the menu bar in the top-left (tap the Alt key to show this bar if you don’t see it), then choose About Internet Explorer. Assuming you don’t have any issues affecting Windows Update How to Resolve Windows Update Problems in 5 Easy Steps How to Resolve Windows Update Problems in 5 Easy Steps Has Windows Update failed you? Maybe the download got stuck or the update refused to install. We'll show you how to fix the most common issues with Windows Update in Windows 10. Read More , your computer should update Internet Explorer automatically. Microsoft delivers both major and minor updates through Windows Update, so IE doesn’t have a built-in updater like other browsers. You can always check for updates manually How to Find Out Every Last Thing About Windows Update How to Find Out Every Last Thing About Windows Update Once a month on Patch Tuesday, Microsoft releases cumulative updates to all Windows users. We'll show you how to gather information about updates and which Windows Update settings you should be aware of. Read More to grab the latest IE patches. Windows 8.1 and Windows 10 users already have IE 11 because it shipped with those versions of Windows. If you’re running Windows 7, you can download the latest version of IE directly from Microsoft to bypass Windows Update. Those running the unsupported Windows 8 should upgrade to Windows 8.1 as soon as possible Windows 8.1 Update Is Here! What It Is & How To Get It Now Windows 8.1 Update Is Here! What It Is & How To Get It Now Curious about the latest Windows 8.1 Update or not sure what this is about? KB2919355 is a cumulative update that comes with useful features. It can also be removed in case it causes issues. Read More for its many security and usability benefits. If you’re running Windows Vista or earlier, you won’t get any further updates for Internet Explorer. IE 9 is the last version of IE that works on Vista, and Windows XP only supports IE 8. If you want to make Internet Explorer the captain for your voyages around the web, you can set it as your default browser. This means that when you click on links and other supported file types, IE will open instead of another browser on your PC The Best Web Browsers for Windows The Best Web Browsers for Windows What is your default web browser? Even though we're spoiled for choice, the majority of us stick to the tried and tested major players. What are better alternatives for resource use, speed, and security? Read More . Open IE and select the Settings gear icon in the top right. Choose the Programs tab at the top. Select Make Internet Explorer the default browser. Depending on which version of Windows you’re on, this could result in a few different actions. If you see text that says Internet Explorer is the default browser, then click OK and you’re all set. Instead, if you see the Set Default Programs Control Panel page, select Internet Explorer on the left sidebar and then choose Set this program as default. On Windows 10, you can also set defaults in the Settings app How to Change Default Apps and Settings in Windows 10 How to Change Default Apps and Settings in Windows 10 Here's how to change default programs in Windows 10 if you're not happy with how the OS behaves out of the box. Read More . Visit Settings > Apps > Default apps, select the Web browser category, then choose Internet Explorer. Your homepage is the first page (or set of pages) you see when you open a new IE window or click the Home button. What you choose here is up to you — try one of the best sites on the web The 100+ Best Websites on the Internet The 100+ Best Websites on the Internet Here are the best websites on the internet to serve every one of your needs, broken into convenient categories for easy browsing. Read More if you don’t have any ideas. Open Internet Explorer, click the Settings gear, and select Internet Options. Under the Home page field, enter the URL for the page you want to set as home. If you want multiple homepages, enter each URL on its own line. Click Use current to populate the fields with your current tabs. The Use default button will set it to MSN, or you can Use new tab to keep it simple. Cookies are little bits of information that websites use to keep track of your individual browsing. They enable those Keep me logged in boxes, but can also be used to track you What Are Supercookies, and Why Are They Dangerous? What Are Supercookies, and Why Are They Dangerous? Verizon has been fined for tracking customers with a unique identifier header (UIDH), also known as a "supercookie." But what is a supercookie? And why is it worse than a regular cookie? Read More . Open Internet Explorer and select the Settings gear, then click Internet Options. On the General tab, select the Delete… button under the Browsing history section. You’ll see a new window with several types of data you can remove. To clear only cookies, uncheck everything except Cookies and website data and click Delete. Leave the Preserve Favorites website data if you’d like to keep cookies for sites you’ve bookmarked. To automate this process, check out how to automatically clear your cookies and other history How to Manually & Automatically Clear Your Browser History How to Manually & Automatically Clear Your Browser History The websites you visit leave tracks on your computer. 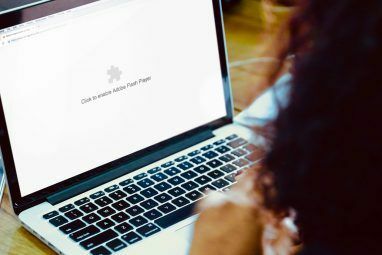 We show you how to delete your browsing history in Firefox, Chrome, Edge, and Internet Explorer. Read More . Browser cache is saved data that Internet Explorer keeps so that it doesn’t have to re-download assets all the time. For instance, if you visit a website with a large banner at the top of every page, your browser caches this so it can display it more quickly. Select the Settings gear on Internet Explorer’s toolbar, then choose Safety > Delete browsing history… as a shortcut to the deletion page. You can also use the Ctrl + Shift + Del keyboard shortcut. Clear all boxes except for Temporary internet files and website files, then click Delete. Remember you can keep Preserve Favorites website data checked to avoid clearing the cache for your bookmarked pages. While clearing cookies can help protect your privacy Avoiding Internet Surveillance: The Complete Guide Avoiding Internet Surveillance: The Complete Guide Internet surveillance continues to be a hot topic so we've produced this comprehensive resource on why it's such a big deal, who's behind it, whether you can completely avoid it, and more. Read More , disabling cookies can prevent some websites from working properly. Select Settings > Internet Options from the IE toolbar. Under Settings, click the Advanced button. Here, you can choose whether to Accept, Block, or Prompt for both first-party and third-party cookies. First-party cookies are from the website you’re visiting, while third-party cookies are from another entity (usually an advertiser). Select Accept to enable all cookies, or Prompt and IE will ask you what to do each time, though this will probably get irritating. Check the Always allow session cookies to allow cookies that disappear when you close your browser. Finally, click the Sites button on the Privacy tab to make sure you haven’t blocked all cookies from a particular domain. You can’t remove Internet Explorer as you would most other Windows software How To Install & Uninstall Windows Programs In Bulk How To Install & Uninstall Windows Programs In Bulk A mass installer or uninstaller can save you heaps of time. Remember the last time you set up a new computer? We are going to teach you how to do these tasks in a flash. Read More . That’s because Microsoft considers it a Windows component. Thus, you have to remove it via the Windows features menu. Type Windows features into the Start Menu and select the Turn Windows features on or off option that appears. In the resulting dialogue, scroll down until you see Internet Explorer 11. Uncheck its box, then click OK.
Give Windows a few moments to remove IE, then you’ll see a prompt to restart your computer and complete the operation. 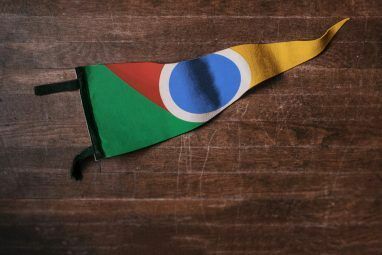 Reboot, and say goodbye to IE. Note that if you’re on Windows 7 or 8.1 and don’t have another browser installed, you’ll have no way to browse the web once IE is gone. Thus, you should use Internet Explorer to download Chrome, Firefox, or another browser before you remove IE. Windows 10 users have Microsoft Edge This Is What Microsoft Edge Is Good For This Is What Microsoft Edge Is Good For Microsoft Edge is way better than Internet Explorer. It's time to become browser agnostic. We'll show you the unique features that make Edge worth using, even if it's not your main browser. Read More , so this isn’t a concern for them. Ready to Use Internet Explorer Like a Pro? 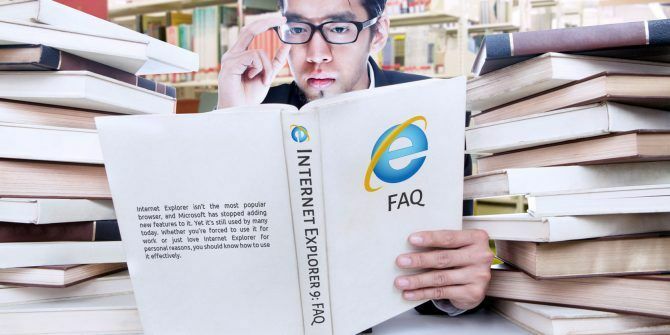 We’ve covered the biggest questions users have about working in Internet Explorer. Now you don’t have to remain in the dark when something about IE puzzles you. Since Microsoft is only maintaining the browser now, you thankfully won’t have to deal with any major changes that render these instructions obsolete. If you’re having a specific issue with Internet Explorer, check out our IE troubleshooting guide 7 Most Common Internet Explorer Issues (And Easy Ways to Fix Them) 7 Most Common Internet Explorer Issues (And Easy Ways to Fix Them) Here are some of the most common problems you may encounter with IE and quick and easy solutions for fixing them. Read More . Do you use Internet Explorer by force or by choice? What keeps you using it when there are so many alternatives available? Tell us in the comments! Explore more about: Browser Cookies, Browsing Tips, FAQ, Internet Explorer. What apps do you mean? I didn't really mention any specific ones in this article. I'm forced to use IE 11 for work because of ancient legacy apps that only support IE. It's slow to start up, heavy on RAM, and the interface is terrible, but I can't install anything else. However, at home I just started using Vivaldi, after switching from Chrome to Opera about a year ago, then from Opera to Firefox 58, and they all had some sort of weird problems that made it so I couldn't rely on them for my primary browser. The government agency I work at prefers to use IE 11 as the default browser. However, we are allowed to have Chrome and Firefox installed on our Windows 7 PCs. Unless you need IE 11 for legacy apps, their is no other reason to use IE 11. IE 11 is slow loading some websites and crashes sometimes. Same here, Vivaldi, and for the same reasons. As for IE, I'm on Linux Ubuntu 16.04, so no such browser on said OS.